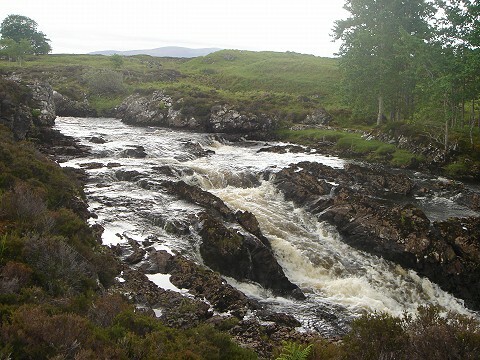 The River Naver, located deep into the Highlands, is one of the best known private salmon rivers in Scotland. The river is fed by Loch Naver which enables good water flows to be maintained during the summer months. Syre have three of the six rotating beats with each beat permitting two rods. There are over 80 named pools and fisherman can try their hand at each and every one of them during the course of their week. The River starts at Loch Naver and is surrounded by a remote moorland landscape. It then flows northwards through birch and alder woodland before making its way to the north sea via some of the historical Strathnaver crofts. The fishing season runs from 12 January to 30 September each year. Fishing is strictly by fly only and, with one experienced ghilly available for each beat, fishermen are always well advised and well looked after. The Estate currently employs two full time ghillies and one seasonal ghillie; their knowledge of the river and passion for salmon are a true asset. In addition to the three experienced ghillies, river bailiffs are also employed by the Naver proprietors who not only maintain the banks, they also patrol the river and the estuaries on the north coast enabling unfettered access to the river by sea fresh fish. The Naver is also proud of its conservation policy which has proved very successful in recent years - you can download the conservation policy document here (pdf). The River Naver is a very private river. It consistently performs well with 2010, 2011 & 2012 being the most prolific for over a quarter of a century. Thanks to excellent spring fishing, in addition to good runs of salmon and grilse in the summer months, Syre rods caught a total of 584 salmon and grilse in 2012, 592 in 2011, this following a record year in 2010 when a total of 646 were caught. Despite a more challenging 2013 season our 5 year average continues to rise year on year. Fisherman are also reminded of the vagaries of the weather in the north of Scotland, particularly earlier in the season and are advised to bring appropriate clothing. 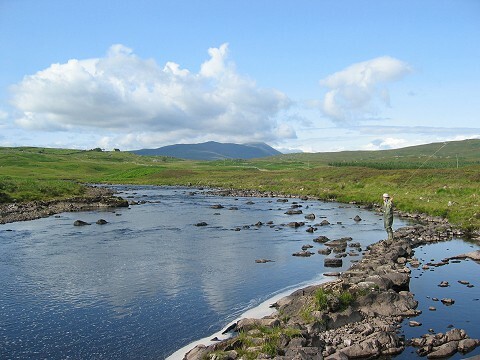 Fishing is also available for three days a week on the River Mallart, a naturally beautiful spate river with stunning view across Strathnaver. It is fed by Loch Choire and runs into the River Naver. The stretch starts where it joins the Naver and extends to approximately 1.5 miles with 8 named pools. Again fishing is by fly only and 2 rods are permitted at any one time. Although no ghillie service is available, one of the estate ghillies will be happy to show you the river on the first day and detailed maps with pool names will be provided. Fishing on the Mallart is usually let with Dalvina Lodge, a spacious and comfortable self-catering property that sleeps up to eight people. Access to the River Mallart is approximately two miles from Dalvina through scenic woodland tracks. Finally salmon and trout fishing can also be arranged on Loch Naver. There are also numerous hill lochs on the estate which provide some fabulous wild brown trout fishing.